2 by 3 Heroes: 290? I can't said I am an avid book reader. It's a bit of a love/hate relationship I have with them. Many moons ago, I worked downtown and rode the train. That was a love time I had with books. Since I haven't done that in years, my love of books have waned. Wouldn't say hate - just not a priority. Mostly read Star Wars novels, but I would toss in a good mystery book here and there. Now movies? Movies are a passion. So is television. In those, besides sci fi and action, I love a great suspenseful movie or show with twists and turns. I always was a huge fan of the Ellery Queen television show. For a while, you could get it streaming on Netflix, but I see it's missing. The show didn't run very long, but I loved the fact that about 10 minutes before it ended, Ellery (Jim Hutton) would turn to the camera and ask if you, the viewer, solved the mystery. Then, after commercial, Ellery would show how the crime was committed and finger the bad guy. 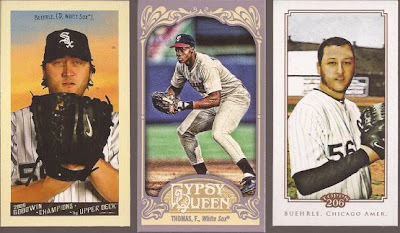 About a week back, I received an envelope from Nick at Dime Boxes. 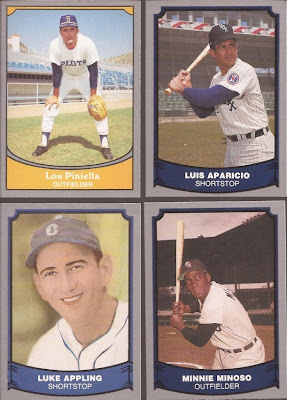 I drop a PWE on him about once a week or so, and he just waits for a while and will return the favor with a much larger envelope to make up for all the oddballs I send him. Nick included an incredible piece of paper in this group, but we are going to save that reveal until the end. It's from 1970. Comical. And while it is the size of a card, it's anything but a card. Special insert that is part of a set of 24. Can you figure it out? First, let's hit some of the highlights. Yup - minis. My throat hurts, so you will have to imagine the Night Owl yell. Two Beuhrles, and a straight cut Thomas to go with my regular back. Old timers. In fact, old timers that never really got their due. Wish I could say that was a mystery, but we all know why they were denied the right to play in their prime. Oh, some lovely Pacific. Now, it's no mystery that I hate 09 OPC, but I do love these Pacific cards. Yeah, they are simple, but really gorgeous. Dig that Pilot in the upper left. That is a throwback the Mariners need to make happen. The Bull. Gotta love the Purina card in the lower right. Here's a little mystery for you, the reader, to solve: when Greg came to Chicago, he purchased a condo to live in. Can you name the person that worked on the mortgage application. And for bonus points, can you name the bank that mortgage was filed and completed? Don't waste time on Google - I doubt you will find something that incredibly bizarre. The answers are my mom, and he secured the mortgage at St. Paul Federal Savings Bank on Western in Chicago. Use that info at the next trivia contest you are at. You are welcome! Nick - why did you write on this card???? 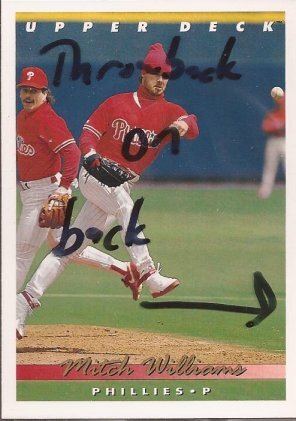 Oh wait - you wrote on the penny sleeve. You kind of blew the mystery of me trying to figure out why you included this card. Then again, the suspense was heightened. Let's turn it over. Yup. That's a throwback alright. Thanks! Who will survive this collision? 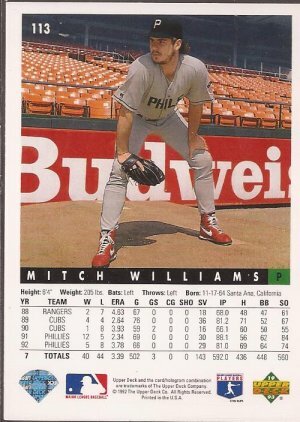 It's no mystery this is one of the greatest cards ever printed. 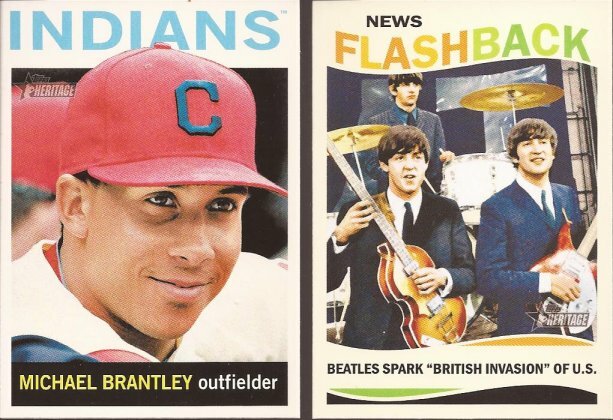 A SP for my Heritage set and a Beatles insert. I ain't got a "mystery" comment for these two. Ok - you have made it this far. Did you figure it out? Do you know the last item I will show? I give you the envelope's "Miss-Scarlett-in-the-library-with-the-candle-stick" card. I have seen these beauties here and there at card shows and online. I vaguely remember them when they came out. It would have been the very first year I was collecting, and I was 4 or 5. I think there were a few of these bouncing in the shoebox as I got older. 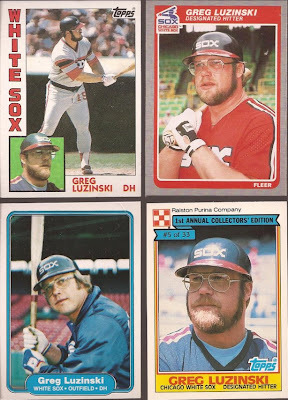 I know I never had the White Sox booklet. I think I need to complete this set. Anyway, the biggest mystery of this post should be the title: 290? And the mystery is this: knowing Nick and his purchase habits, what was the cost of the 29 cards in the envelope? $2.90 is a pretty good guess. I know the Pacific cards and the Brantley SP were dime finds, at the least. 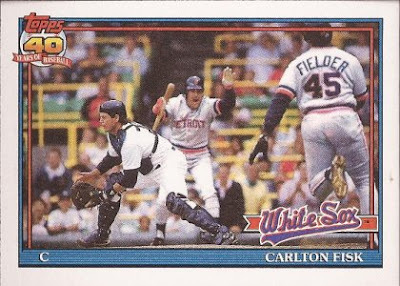 I've been so mesmerized by the throwback on the back of the "Wild Thing". I haven't even noticed the big Budwiser ad until now. But glad you liked everything, Jeff. Received your latest PWE in the mail today. I'm already working on another package to send your way. 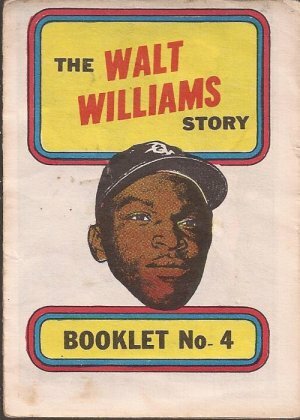 Wow that Walt Williams Booklet looks like the 71-72 OPC/Topps ones. When did that one come out? I just assumed 1970 from date inside the comic. I could be (and probably am) wrong. YouTube claims "This video does not exist." Really makes you think.